Oh, boy! Here comes another diet everybody wants to try. Paleo diet is one of the noteworthy back-to-basics practices that is still making a buzz for quite some time now. Some fitness enthusiasts are crazy about it and their success stories swear to its effectiveness. But while this diet’s reviews are appealing, you might want to consider getting to know what the fuss is really all about. Most diets fail because they are unsustainable. It can be tough switching from one eating habit to another. Before you start convincing yourself to give Paleo diet a try since you’ve got nothing to lose but those extra pounds and body fat it would really help knowing what you will be getting yourself into. Good thing we’ve got it all covered! 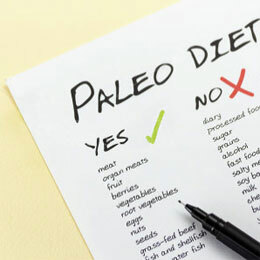 The Paleo Diet or also known as the Paleolithic Diet, Stone Age Diet, or Caveman Diet, is a way of eating based on our interpretation of how our ancestors ate back in the day, before agriculture existed. The rapid advancement of technology has changed how the world operates. Everything is easier now. Well, one can argue that things are both easier and harder nowadays and given all the irony this world can present it make perfect sense. A lot has changed in terms of our eating habits. We no longer have to “hunt” so we can have something to eat. All we have to do is go to the supermarket and “shop”. No sweat! Eating can be as convenient as opening the fridge and the bag of your favorite chips. And who doesn’t like convenience? We live in a world where convenience seems to be everything. In an effort to simplify things right now we unintentionally plant something that can harm us in the future. Think of processed foods, sure they are convenient to eat but they are loaded with preservatives that can pose serious health threats overtime. 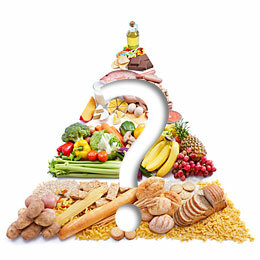 In Paleo diet, dieters are encouraged to eat “real foods” or anything that is produced naturally. That’s right, nothing out of a can! Most people can take what they should eat in a particular diet but fail on what they should not. I guess the reason is pretty obvious. We all have our favorite foods that can be hard to sacrifice. Take rice for example. Some people, especially those in Asian countries, can go on for a week without eating rice or noodles despite rice being a staple food in their diet. They can do that. A week without rice or even noodles is bearable. Game on! But for a month or longer? That may be too much for them to take. Let’s continue with foods allowed and not allowed in the Paleo diet. If you love grains, prepare for a heartbreak! The basic guidelines: no grains, dairy, legumes, sugar, and processed foods. Fill in with meat and fish, pile on produce but let go of legumes, and up the healthy fat factor. You know now that if you’re a die-hard fan of grains you probably won’t last a month on Paleo diet. Let’s be realistic and make that a week. It can be tough to give up on some of your favorite foods that are not allowed in this diet (hmm—rice, chocolates, Doritos, Lays, donuts) and while it works for some it doesn’t mean it will definitely work for you, too. So, is the Paleo diet for you? Better weigh the pros and cons! Let’s start with the pros first, shall we? First of all, Paleo diet can be very simple. If it comes in a package, you don’t eat it. Food for thought: The longer the shelf life, the shorter yours. Now, that’s a tick in the checklist! Second, since you are eliminating most of the bad stuff that contributes to obesity you will more likely lose weight. Third, if you are gluten-sensitive you will benefit from this diet as it aims to eliminate wheat, rye, and barley—well, grains. Fourth, your body will get the proper nourishment it needs. Fruits and vegetables are chock-full of nutrients and this diet emphasizes consumption of these foods instead of grains. Now, let’s proceed with the deal-breakers. Sustaining this diet can be expensive. For one, grass-fed beef and wild salmon can take a big bite out of your budget. Ouch! Aside from the cost, this diet suggests omitting some healthy foods like beans and legumes, both which deserve a place on our dinner plates. The diet is also heavily reliant on meat and meat today isn’t as lean as it was back in the day. Another thing that this diet falls short on is some of the micronutrients, namely calcium and vitamin D because dairy products (good sources of the said micronutrients) are off-limits. So, have you decided yet? For whatever reason you may have on wanting to pursue going on a Paleo diet always remember that there is no perfect diet but there are a lot of wrong ones. Ultimately it’s your decision, just stick with your better judgment. What is the Calorie Zig Zag Diet? How do dietary supplements stack up against whole foods?